Ibrahim Aboki was born and raised in a community of smallholder farmers, who in Nigeria produce 98% of the nation’s food. It’s a big responsibility, and Ibrahim — an entrepreneur and Microsoft #Insiders4Good Fellow — is on a mission to help make farmers’ livelihoods more secure and prosperous. Back in his hometown in the rural state of Bauchi, Ibrahim noticed that farmers were paying a great deal out of pocket to irrigate their crops with petroleum-powered water pumps. With climate change and severe drought affecting the region, Nigerian farmers are becoming increasingly reliant on irrigation, and fluctuating oil prices make it even tougher for farmers to stabilize their earnings. 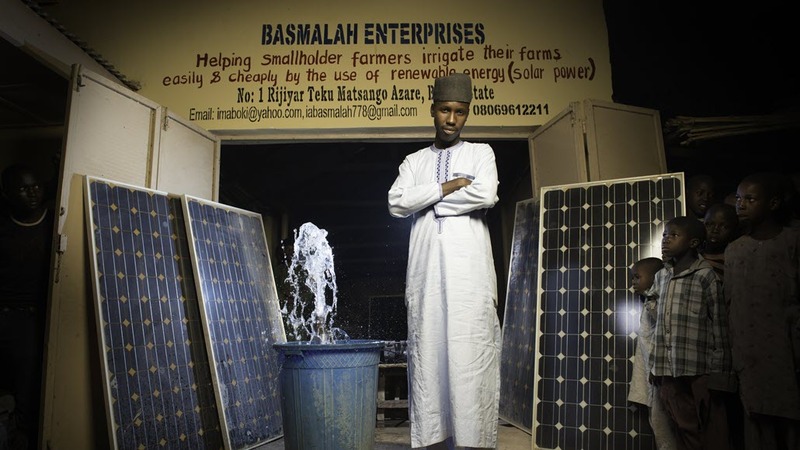 To tackle this problem, Ibrahim launched Basmalah Enterprises and engaged a mechanical engineering colleague to develop a solar-powered water pump. Fabricating the equipment locally, they developed innovations to ensure that the pumps required fewer solar panels and batteries and wouldn’t overheat during long periods of operation. Today, Basmalah Enterprise’s solar irrigation service serves around 500 smallholder farmers and saves them 35% on their crop watering costs while reducing carbon pollution in the process. There have been other positive impacts as well. Ibrahim envisions serving half of all smallholder farmers in Bauchi within the next year, and half of northeastern Nigeria in the next 3 years. What keeps him going despite the challenges of entrepreneurship? Ibrahim Aboki was awarded a Microsoft #Insiders4Good Fellowship, part of a new initiative at Microsoft designed to support promising entrepreneurs with extraordinary solutions to social problems.